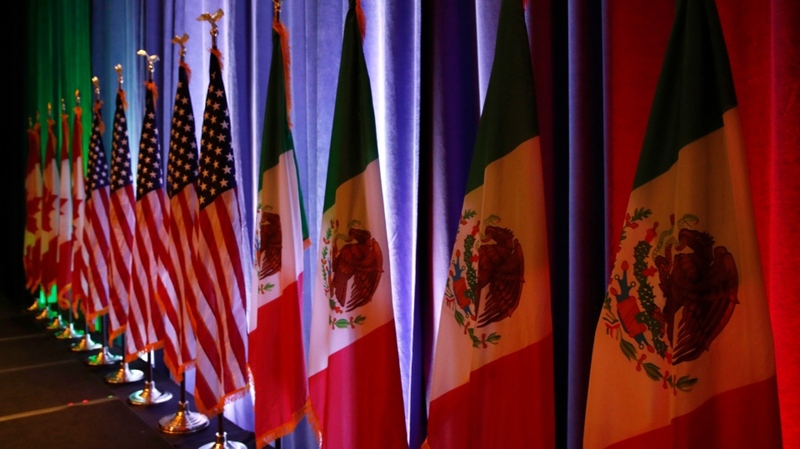 WASHINGTON -- As NAFTA talks enter their most sensitive phase, a fever of speculation has broken out about whether Donald Trump might soon announce his intention to withdraw from NAFTA -- and it's likely to last a while. With only couple of months left in the currently scheduled rounds of talks, Canada will be keeping an ever-closer eye on the U.S. president, who has repeatedly said it might be necessary to start the withdrawal process in order to gain leverage and win concessions. Here's a brief guide to what such a pullout announcement would likely mean. -- NAFTA survives, at least for a while: The agreement's withdrawal clause is not an automatic-exit trigger. It isn't like Brexit and the European Union's Article 50. NAFTA's Article 2205 requires six months' notice before anyone can actually pull out. -- Loonie drops: Goldman Sachs projects a six-cent drop in the Canadian dollar if Trump announces a pullout, and a more dramatic effect on the peso. Mere speculation about a withdrawal in news reports this week caused a momentary dip. Currency markets can act as shock absorbers in the event of trade jolts, softening the impact of tariffs. 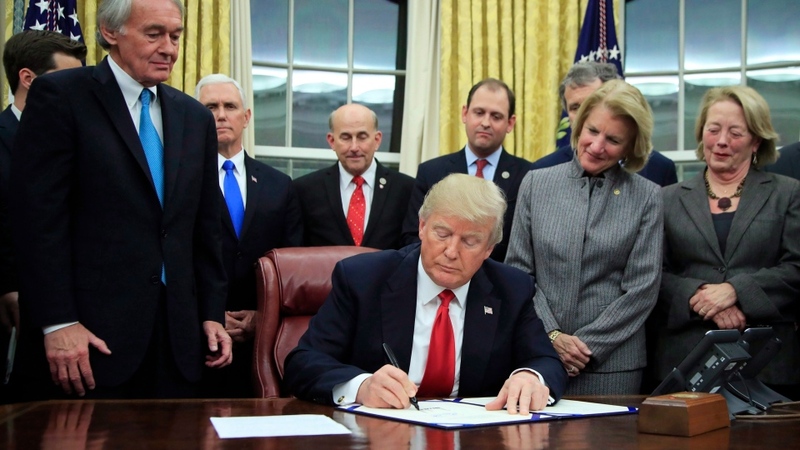 -- Lawsuit watch: A debate is already raging within the American legal community about the constitutionality of a president pulling out of a trade agreement without an act of Congress. Some insist Trump has the authority; others disagree. What everyone does seem to agree on is the likelihood of lawsuits. Behind the confusion lies a few historical contradictions: A U.S. Constitution that gives the president power over international relations, but the Congress power over trade; court cases that uphold the president's power over international agreements, versus others that say he can't contradict established law. This area of law hasn't been tested much -- it's pretty rare for a U.S. president to be more hostile to trade deals than Congress, which is traditionally more protectionist. It's unclear what would happen to the 1994 U.S. law passed by Congress implementing NAFTA, which remains on the books. -- Mexico probably walks: Insiders familiar with the Mexican negotiators' strategy are adamant: they will leave the negotiating table if Trump triggers Article 2205. The Mexicans have said this publicly, and sources there have been even more explicit in private conversations. -- Canada probably stays: The Canadian government has been far cagier when asked what it would do next. But people familiar with its intentions say it would likely stay at the table and keep talking. -- Trump's next decision: Does he choose to pause negotiations during elections in Mexico and the U.S., and resume talks after a new Mexican government is sworn in this December? Stay at the table with whichever party chooses to keep talking? Turn the trilateral negotiation into a bilateral, if it's only the U.S. and Canada? Or does he proceed to killing NAFTA after the six-month grace period? -- Zombie NAFTA: The countries keep trading without tariffs, the agreement's dispute mechanisms keep working, cross-border companies can keep investing and hiring anywhere, but all with the knowledge that the deal is half-dead and could be buried any time after six months. Without free trade, the countries would be free to apply their international tariffs -- they average 3.5 per cent for U.S. imported products, 4.1 per cent in Canada, and 7 per cent in Mexico, though some products would face much higher tariffs.